Have you just recently learned that your spouse is or has been cheating on you? If you have, you may want to confront them. In all honesty, if you want to go ahead and confront your cheating spouse then go ahead and do so. With that being said, you may want to use caution. There are times when confronting a cheating spouse can turn dangerous. If you decide to confront your cheating spouse alone, you may want to be extra careful. In fact, you may event want to hold off on the confrontation. Is your spouse known for his or her temper? If so, being alone may not be the best way to accuse your spouse of cheating on you or showing them the proof that you captured from a hidden spy camera or listening device. This is particularly true if you intend to end your relationship or ask for a divorce. If possible, have a trusted friend, family member, or police officer with you at your home. Reconsider confronting a cheating spouse if you do not have any proof. Have you seen your spouse on a date with another? 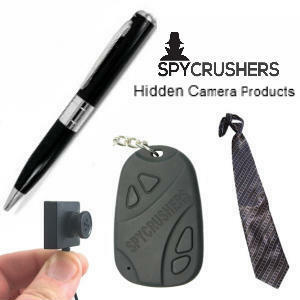 Have you secretly recorded their infidelity with a hidden camera device like a spy pen camera? Have you seen the phone or credit card bills with suspicious or out of the ordinary entries? If not, it may be best to wait until you have proof. Your spouse may completely deny having an affair. Also, as a best case scenario, they may not be cheating on you. Although you may not want to be alone when confronting a cheating spouse, that statement does not include any children the couple have. Never confront a cheating spouse or even accuse them of cheating in front of your children. It doesn’t matter if your children are newborns or teenagers. Teens know about cheating and you do not want drag them into your mess of a relationship or marriage. Newborns will have no clue as to what you are talking about, but the raised voices may be scary and overwhelming. If your spouse is abusive, either verbally abusive or physically abusive, use your best judgment. When your spouse is abusive, either verbally or physically, you will want to proceed with extreme caution. If you intend to end your relationship or marriage due to cheating, it may be best to do so all at once. Have a trusted friend, relative, or the police on standby. If your spouse starts to get violent or upset with you for brining up their cheating, take action immediately. Call for help or get out of your house and do not return until they are gone or you have the police with you. Never put yourself in harms way when confronting a cheating spouse. Lastly, be cautious when calling out a cheating spouse is if you aren’t ready to walk out the door. Yes, you have every right to be in your home and your spouse may be the one who has to or should leave, but that doesn’t mean the situation will go that way. If your spouse refuses to leave your home, even just for a temporary break, are you prepared to? What about your children, if you are a parent? If your main goal is to end your relationship with your cheating spouse, be sure to have a set plan in place for you and your family.